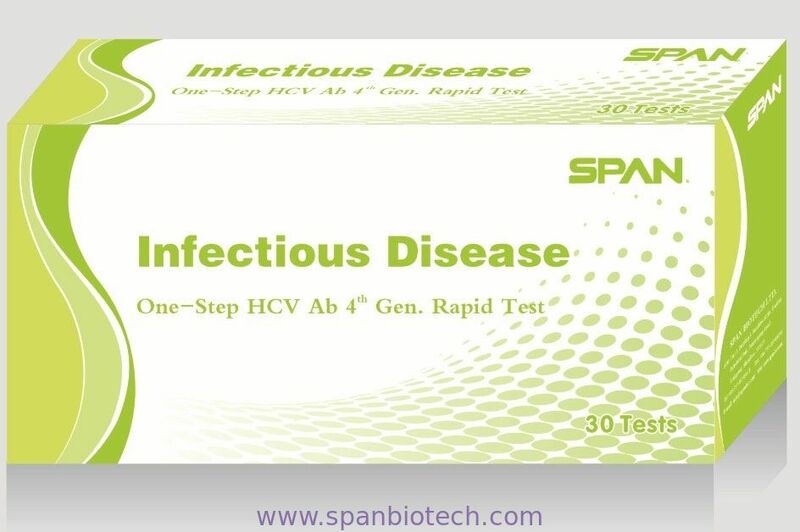 The HCV Gold Rapid Screen Test (RST) is a Chromatographic immunoassay (CIA) for direct qualitative detection of antibodies to Hepatitis C type virus (HCV) in human serum/ plasma and whole blood. HCV RST is a chromatographic immunoassay (CIA) for the detection of antibodies to HCV in human serum/plasma and whole blood. HCV recombinant antigens are precoated onto membrane as a capture reagent on the test region. During the test, specimen is allowed to react with the colloidal gold particles, which have been labeled with HCV recombinant antigens. If antibodies to HCV are present, a pink colored band will develop on the membrane in proportion to the amount of HCV antibodies present in the specimen. Absence of this pink colored band in the test region suggests a negative result. To serve as a procedural control, a pink colored band in the control region will always appear regardless the presence of antibodies to HCV. 1. One sealed pouched cassette with desiccant &disposable pipettet. 2.Blood diluent in a dropper bottle. Store at 4-30°C. 3.One piece of operating instruction with 40 test pouches. 3. Do not interchange reagents from different lots. Do not use test kit beyond expiration date. The kits (the sealed pouch) should be stored at room temperature ( 4-30°C), for the duration of the shelf life (24 months). 1.Clean the area to be lanced with an alcohol swab. 4. Use micropipette to obtain about 100ul fresh blood and dispense into the sample well. Collect 100-150ml or 2-3 drops of serum or plasma in a sample well,Observe the result in 5-30 minutes. Add 1 drop (1 drop = 35µl) of sample (whole blood) into the sample well. After all samples completely absorbed, add 1 drop of diluent. Observe the result in 5-30 minutes.